Novi Sad is the capital of the Autonomous Province of Vojvodina and the second largest city in Serbia. It is the industrial, cultural, scientific, educational, and administrative centre of Vojvodina. Novi Sad is located in a vast plain, easily reachable from all directions. It is a city of friendly and hospitable people, clean and easy to move around place, with many green oases and parks, full of nature lovers. The Fortress of Petrovaradin, a historical site, is situated on the right bank of the River Danube, which is the city’s heart, its power and pride, and also one of the favorite places of both the inhabitants and visitors of Novi Sad. The famous public beach called Štrand is the city’s ever attractive hot spot. Walking, jogging, roller-skating along the Danube quay are popular ways of recreation. 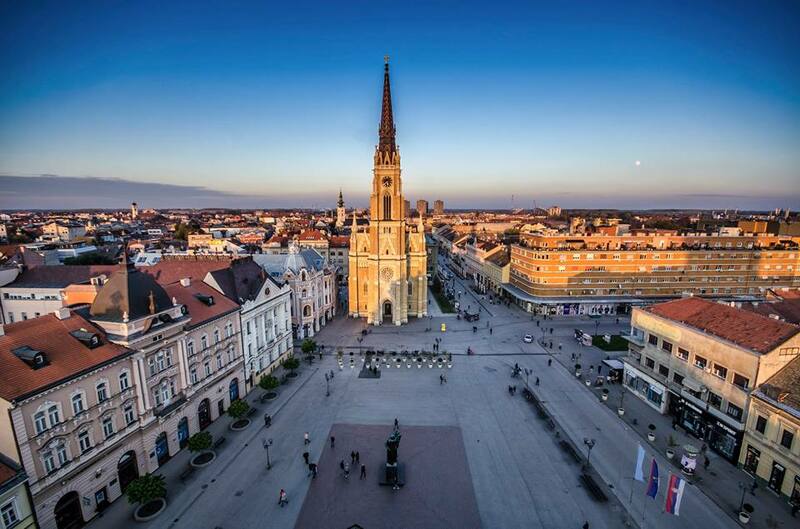 Novi Sad has always been the cultural and artistic hub of this part of Serbia. It is the home of the Matica srpska – the oldest cultural-scientific institution of Serbia, the Serbian National Theatre, the Sterijino pozorje Theatre Festival and many other important institutions and cultural events. Novi Sad is constantly changing, opening to the rest of the world, and becoming more and more multicultural and versatile. Nowadays, a widely recognized symbol of the city is the Exit Festival. Thousands of young people from all over the world come to Novi Sad to enjoy great performances and concerts given by the world’s top performers. Novi Sad is proudly bearing the attribute of being multinational, multicultural and multi-confessional place embracing the motto of unity in diversity. For more information on what to do in Novi Sad visit the website of the Tourism Organisation of Novi Sad.